(2-LP set) The events of May '68 are seen as a turning point in France's social history - pictures of the barricades are still potent images. Lines were drawn politically, culturally, socially, and pop music was not exempt. 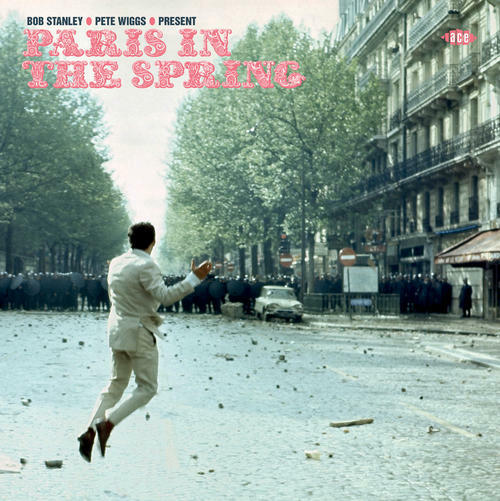 "Paris In The Spring" is a collection of the new music, put together by Saint Etienne's Bob Stanley and Pete Wiggs, that emerged from France between 1968 and the mid-70s, an extraordinary blend of several previously independent strains - French chanson and yé-yé, American jazz and funk, British chamber pop - shot through with the era's underlying mixture of optimism, uncertainty and darkness. This is the first collection of its kind, released on the 50th anniversary of the Paris uprising.